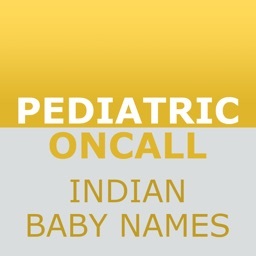 Naming your baby should be as much fun as making it. 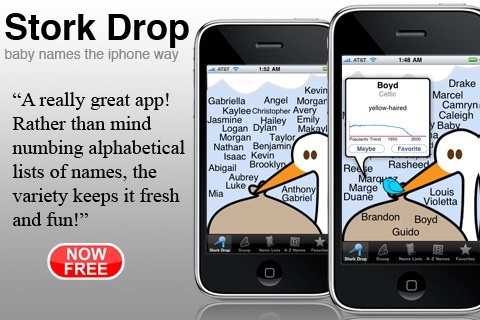 Well, at least as much fun as you can have with your iPhone. 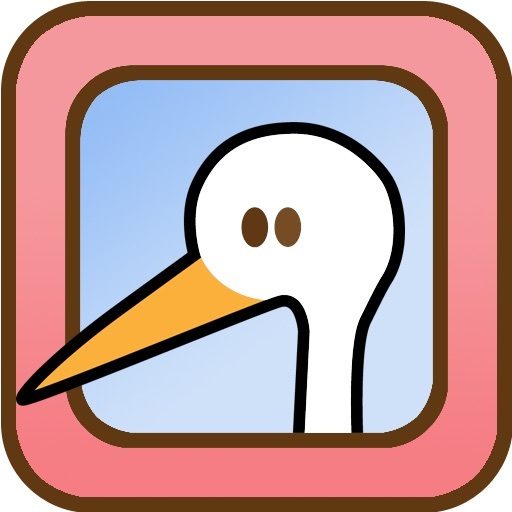 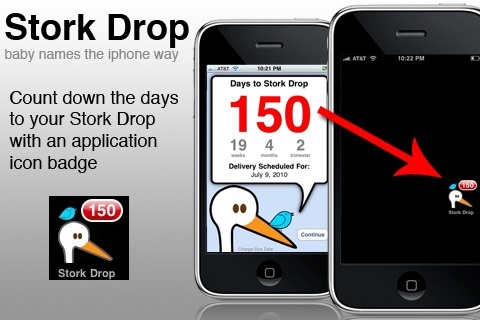 Stork Drop takes advantage of all the iPod Touch and iPhone's capabilities to provide a fun, interactive and networked approach to finding the perfect baby name during your pregnancy. 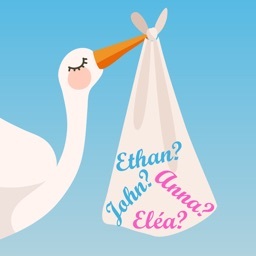 The stork will drop random baby names to add to your favorites list. 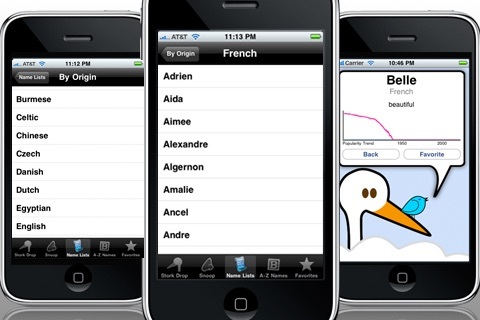 If you prefer a more organized approach, search names by predefined lists or simply alphabetically. 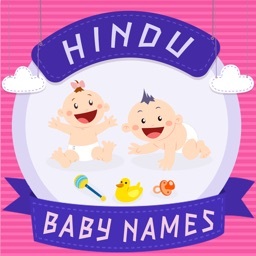 Curious what baby names are in other users Favorites list? 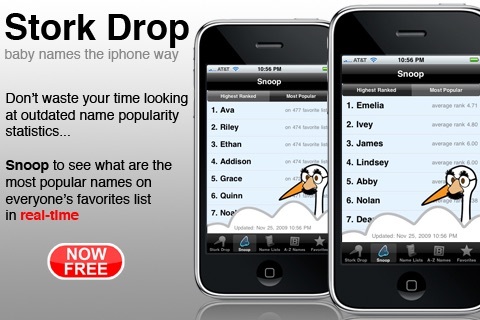 You can 'Snoop' on them, to see REAL-TIME name ranking and popularity statistics. 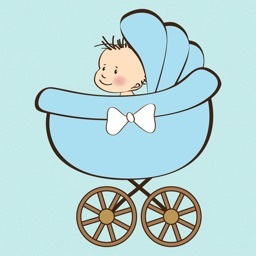 BabyBinks is a member of Moms With Apps, a collaborative group of family-friendly developers seeking to promote quality apps for kids and families.